Whatever the core meaning of the title may suggest, the idea of a Curator has always played an important role in presenting and preserving the articles of museums or the private collections of wealthy individuals. From the Cabinet of curiosities to the Enlightenment and beyond, and as the direct result of the changing nature of expectation of how art is to be displayed, the Curator became a key figure in the representation of art to the public. Aside from the term being applied far more creatively than the Latin roots perhaps suggest, the real seismic change has also shifted the meaning of Curator as it was known before. 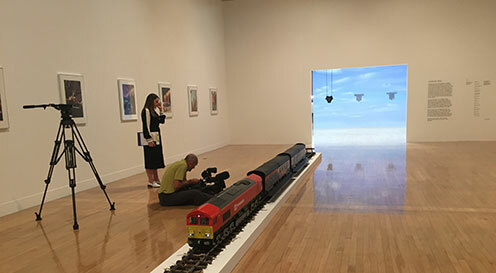 According to David Levi Strauss of the Centre for Curatorial Studies at Bard College, in the past decade or so the Curators of Contemporary Art have become mediating figures in highlighting the relationship between the role of Art and Artist in society and by doing so they themselves were burdened and are often forced to take “a curving and indirect course” between arts and public. (Strauss, 22.1.2007, The Bias of the World: Curating After Szeemann & Hopps).